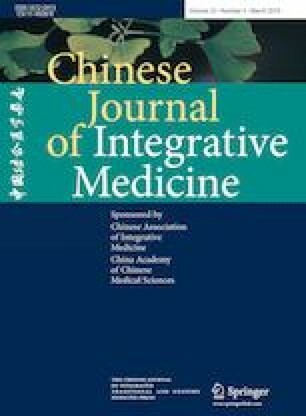 To assess the efficacy and safety of Taohong Siwu Decoction (桃红四物汤, TSD), a Chinese herbal compound prescription, in patients with angina pectoris (AP). Randomized clinical trials (RCTs) comparing TSD plus conventional treatment (CT) with CT plus placebo or CT only in the patients with AP were searched in PubMed, Cochrane Library, Excerpta Medica Database, Chinese National Knowledge Infrastructure, Chinese Biomedical Literature Database, Wanfang Database, Chinese Scientific Journal Database, Chinese Clinical Trial Registry and International Clinical Trial Registry from their inception to March 2017. The primary outcomes include a composite event of death, acute myocardial infarction (AMI), and target vessel revascularization. The secondary outcomes include angina symptom, electrocardiogram (ECG) improvement and serum high-sensitivity C-reactive protein (hs-CRP), endothelin-1 (ET-1), triglycerides (TG), total cholesterol (TC) and low-density lipoprotein cholesterol (LDL-C) levels. The methodological quality of included studies and extracted available data were assessed. RevMan 5.3 software was used to conduct statistical analysis. The relative risk (RR) and standardized mean difference (SMD) with 95% confidence interval (CI) was calculated. A funnel plot was used to evaluate the publication bias. Among 204 studies identified in the literature search, 12 trials including 959 patients with AP met the inclusion criteria. No studies reported the primary outcome including death, AMI and target vessel revascularization. TSD combined with CT showed significant improvement in relieving angina symptom [RR=3.70, 95% CI (2.42, 5.67)] and ECG [RR=3.20, 95% CI (2.20, 4.65)] compared with CT alone. TSD combined with CT reduced the serum hs-CRP, TG, TC and LDL-C levels compared with CT alone. No serious adverse events were reported in TSD combined with CT.
TSD combined with CT has a potential benefit on relieving AP without significant adverse events. However, the efficacy on the cardiovascular events needs to be assessed by more rigorously-designed, largescale, and multi-center RCTs in future. Supplementary material (Appendix 1) is available in the online version of this article at https://doi.org/10.1007/s11655-019-3028-4.